Home Sports Has Foles played his last snap as an Eagle? Has Foles played his last snap as an Eagle? 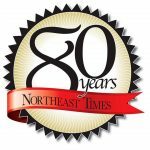 A funny thing happened on the way to the Nick Foles goodbye party in the days following the Eagles’ gut-wrenching 20-14 loss to the New Orleans Saints in the divisional round of the NFC playoffs. Neither party really officially said farewell. Although he can make the final decision on what happens, Foles still has ties to the Eagles contractually until the Birds management has to make a move by Feb. 11. Foles can become a free agent on March 13. A lot can change between now and then, and likely will. Foles famously became the starting quarterback with a few weeks left in the 2017 regular season. He took over for injured Carson Wentz, who at the time was playing so well he had become the favorite to be named MVP of the league. What happened next, no one saw coming. Foles took the Eagles team and the city of Philadelphia on a magic ride that produced the first Super Bowl win in franchise history over the great Tom Brady and New England Patriots. The drought was over, and an unlikely hero emerged. But even though Foles was the Super Bowl MVP, this is Wentz’s team. Things have become a little complicated since then. With Wentz on the mend, the Eagles wanted to make Foles happy and keep him for at least the 2018 season as an insurance policy if something happened to Wentz. Last April, the Eagles and Foles agreed to more money for the 2018 season (he originally had a two-year deal) plus incentives if he ended up starting again – which he did for a total of seven games, including playoffs — plus a third-year option for both teams. In reality, it was a new two-year contract worth up to $29 million in base salary. The contract paid Foles a $2 million signing bonus in 2018, which represents a $2 million raise from his original contract. There were/are $14 million in additional incentives available. The 2019 season, which was a void year, is now an option year with a player void clause. The Eagles can opt into the contract, which carries a $20 million salary, by picking up the option a month before the start of the 2019 league year. The salary is guaranteed on the third day of the league year. If the option is exercised, Foles may still become a free agent by paying back the $2 million signing bonus he received in 2018 as part of this new contract to void the 2019 league year. Incredibly, Wentz was unable to finish the 2018 season, again due to injury. Last year, Foles took over with the No. 1 seed in the NFC playoffs all but assured. In 2018, the Eagles were on the outside looking in for a playoff spot. Foles again came off the bench and did his thing, leading the Birds to three consecutive wins, including a road win over the eventual NFC champion Los Angeles Rams and the playoff-bound Houston Texans at the Linc. Foles and a dominating defense helped the Birds upset a very good Chicago team before losing a heartbreaker to the Saints in the second round. Now the Eagles and Foles have decisions to make. If Foles somehow stays, it would create a terrible situation for Wentz. Everyone agrees Wentz is more talented and is the future of this franchise. To put him through the microscope of having Foles right there on the bench would be unfair. But… How do you say goodbye to this guy? Last week, in the Eagles locker room the day after the Saints loss, Foles talked about the options both parties have. Foles believes he and the Eagles will make the right decision. 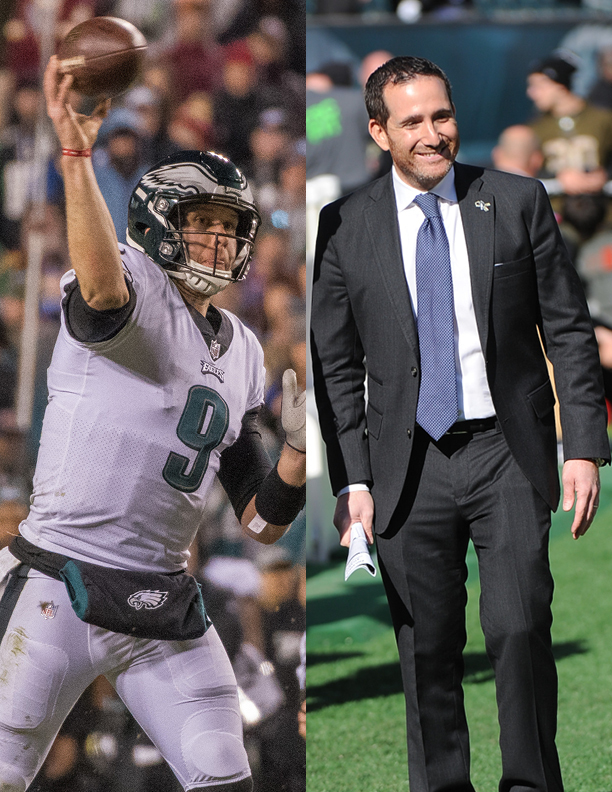 At a news conference on the Tuesday after the Eagles’ loss to the Saints, Eagles Vice President of Football Operation Howie Roseman was asked if it can be worked out, would he like to keep Wentz and Foles. Foles was saying all this in the Eagles locker room, watching many of the teammates he won a title with the year before clean out their lockers until they return in the spring. Only thing…this was likely Foles’ last time.